A panel of moms talk about the tips and tricks for taking care of a newborn. GRAND RAPIDS, Mich. - This is one job where previous experience is not required—parenting.13 ON YOUR SIDE asked a panel of new moms and experienced moms their tips and tricks for raising newborns. “You definitely feel like ‘I’m doing this wrong,'" mother Karen McCarty said. Most times, you aren't doing anything wrong. 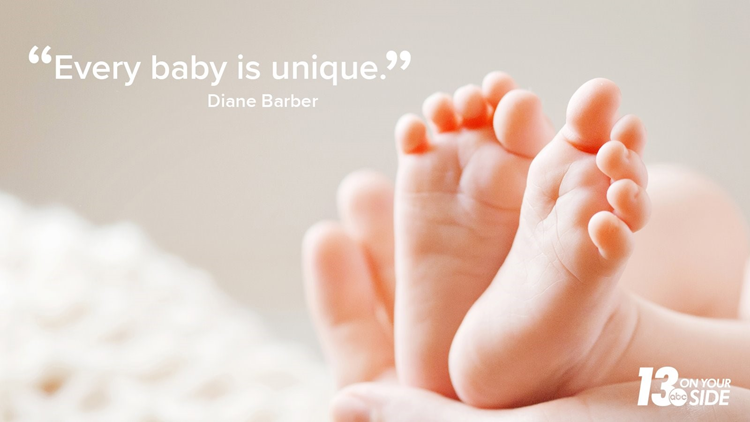 “Until you are on the job, doing it, figuring out, every baby is unique that’s why the blanket ‘What To Expect When You’re Expecting’ books don’t necessarily apply to your baby," mother Diane Barber said. There are some who swear by the baby books, but there are others who prefer to just wing it. "Ninety-eight percent of what we do is learned on the job versus learned in the classroom," Barber said. Their biggest piece of advice? Ask for help and trust that you know what's best for your baby. 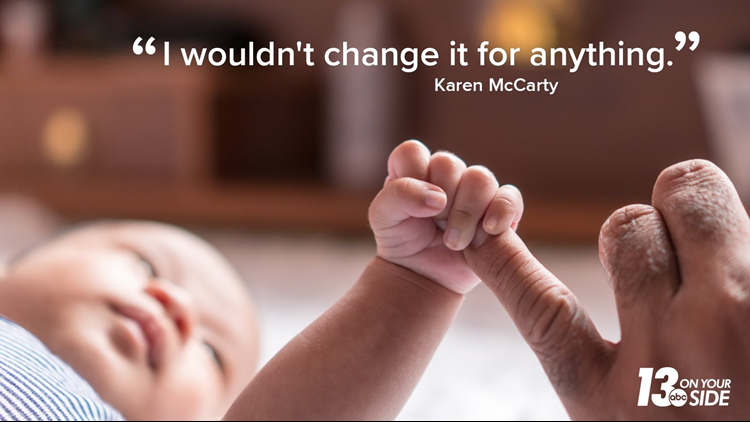 "It can be really easy to say ‘No, no, I got this, I can do this all.’ Women can, moms can, we’re amazing, but we need help too," McCarty said. "You have to trust that because sometimes we forget and we just run into fear, ‘Oh, I’m doing all this wrong, I don’t know what to do with this baby,' but you do,” mother Rosy Aguillon said. 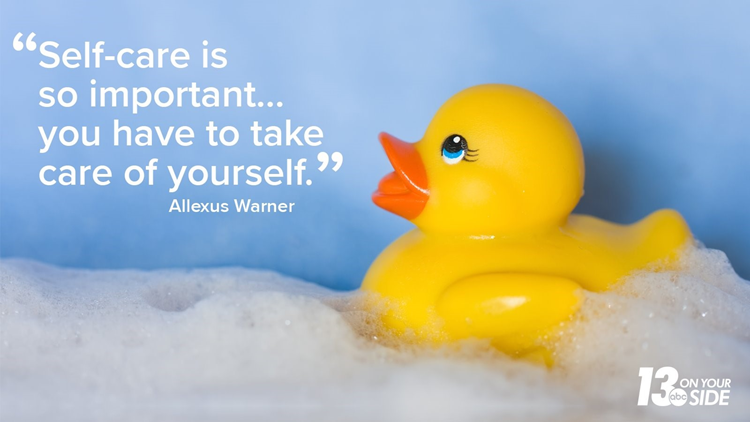 Even though your new number one priority is your baby, practicing self-care is still important. "Like little things, taking time like, ‘I did my nails, or I got to wash my hair today or go for a walk,’" McCarty said. “Self-care is so important and to take care of somebody else, you have to take care of yourself," mother Allexus Warner said. “I shower every day, she’s okay if she fusses, she’s right there next to me in the bouncy seat." Then there's breast feeding. Some moms say they've experienced shame from onlookers when they nurse their baby. "I’ve never been outright discouraged, but I’ve definitely gotten braver the more children that I’ve had, the longer that I’ve done it," McCarty said. “You get from other mothers; the nod of support is always nice and I try to give those back when I see other moms." Every Wednesday from 12:30-2 p.m. at City Life Church, 574 S. Division Ave.
What about going back to work? Many moms don't have a choice and must return to work. "That was my biggest thing that I hated when I was pregnant is people always asking me ‘Am I going to go back to work?’” Werner said. Werner says she never doubted that she'd return to work. “I became a nurse a year ago, I worked really hard to become a nurse, I am definitely going back to work,” Werner said. “It can be very easy to lose your identity as a stay at home mom because you feel like you’re just talking to little people all day because you are. She’s adorable but she can’t talk about politics or things that I want to talk about," McCarty said. Every single mom on the panel has suffered a miscarriage. Something they say many parents never talk about. "That’s something I feel like a lot of people don’t talk about either until it happens to you. It’s so common and if you talk about it, you just hear how many other women that has happened to," Barber said. All in all, these mothers wouldn't change it for the world. But, they think women need to be willing to talk about the good, and the not so good parts of motherhood. "There’s rough patches and nothing is ever always perfect, but they are so beautiful and so perfect in every way and I wouldn't change it for anything. It’s so worth it in ways you have no idea until you go through it," McCarty said.